The next SPG installment will be put off for a week or two while I put the finishing touches on TURQUOISEBLOOD! Stay tuned for updates on both! It’s finally here! The cover to my forthcoming novel, TURQUOISEBLOOD! For this cover, I worked with Glendon Haddix of Streetlight Graphics. I was very impressed by the professional-looking covers in his portfolio and I was not disappointed with this striking design! I sent the plot of my novel and my requests for the cover look/feel over to Streetlight Graphics and was very pleased with their quick responses. 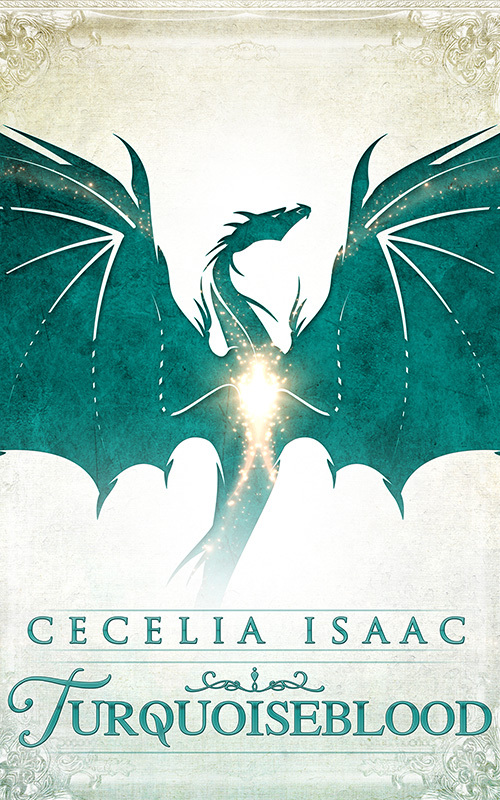 I definitely recommend them to other authors looking for cover art (they are very reasonably priced as well). TURQUOISEBLOOD will be out soon. Keep checking back here for updates! 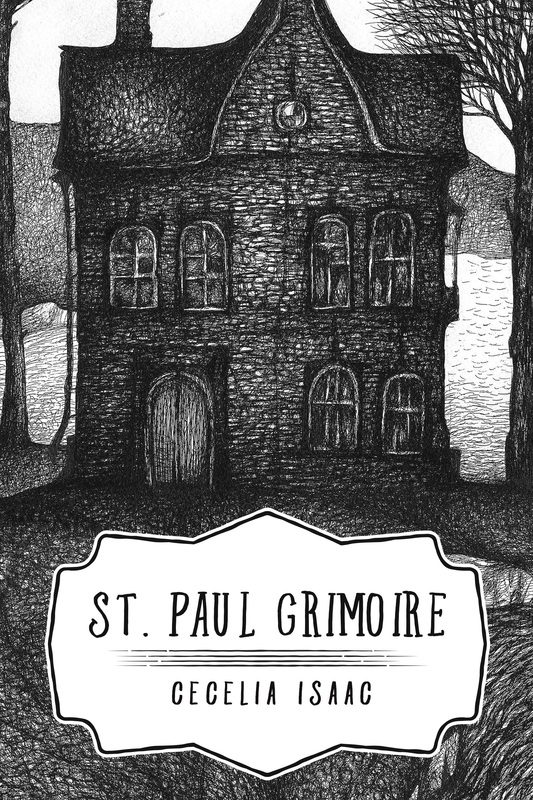 St. Paul Grimoire is a weekly serial that updates on Mondays. Each month will cover a self-contained story told over four parts. It will not be overly edited, and character arcs and plotlines could be adjusted with your feedback! PLEASE let me know what you think! Dakotah and Valene stared at each other from across the counter. I’m doing you a favor,” she reminded him. He seemed to need the reminder. Dakotah visibly collected himself. “So you can be mean to me?” she asked archly. Dakotah rolled his eyes, wondering not for the first time why it was that she of all people was the one who could speak and read French. “I have to get to Guys and Dolls soon,” she pointed out. It was the fall semester’s school play, and she knew a bunch of people in it this year. Val didn’t act, but a lot of her friends did, and there were more than a few hot guys on the cast this year. Of course, her fellow tenth graders weren’t as likely to get lead roles, but some of the 11th graders were hot too, and not out of reach for her. She regarded Dakotah with a critical eye. Everybody thought he was hot–your typical bad boy obsession. She wasn’t swayed by that. He was still a jackass. The book on the counter in front of them had no title. It was a grimoire, a book of spells and magic. Each grimoire covered a different topic and contained critical information on the fey world. Information that Dakotah could use to keep himself alive. Unfortunately, the whole damn book was in French. Unfortunately for Dakotah. She could read French no problem. Before attending Central High School, she’d gone to L’etoile du Nord, the French immersion middle school. Her family had moved, which at the time had been a good thing because she could enter Central’s big French program. Whatever, she hadn’t entered it. She didn’t like French anymore (she could barely keep all the Hmong and English in her head some days). She was just going to become a hairdresser after high school anyway. Pete’s cousin Vanessa was a hairdresser in Minneapolis and she was so cool. Valene had never cut hair before but she was good at makeup. Her own eyes were cocooned in eyeliner, mascara and eyeshadow. Her hair was long, falling to the small of her back, though not as long at some Hmong girls. Dakotah had long hair too, like lots of Native boys. Not that her school had so many. Central was mostly Asian, black and white. The grimoire in front of them was called Le Gardien, the Guardian grimoire. She definitely got why he wanted this book translated first. Dakotah could do all sorts of weird stuff now that he was a Guardian, but the mostly went on feel. When they’d discovered two weeks ago that he could do the magic of the things nearest to him, everyone agreed it was time for some answers about Guardians. She didn’t even know how she’d gotten into this. She wasn’t even that good at French and Dakotah wasn’t even her friend. The bell jingled violently. She and Dakotah jumped to attention. Through the shop door crashed two–things. She never knew what things might come from the fey world. These skinny green creatures appeared to be fairies. They had delicate wings and sharp pointed features. They were stumbling in arm in arm, one in a tux and the other in a white wedding dress. “Sanctuary!” cried the one in the tux triumphantly. “We’re married!” shrilled the one in the wedding dress, lifting a glass bottle of amber liquid in toast. “Congratulations,” said Dakotah. Val edged away from their raucous little circle. “Take that, mom!” the wedding-dressed one said. Val and Dakotah shared a look. “Why do you need sanctuary?” he asked. “Her mum’s a beast,” the one in the tux answered sagely. His fingers grasped for the bottle and she allowed him to take a drink, before taking a drink herself, before kissing him on the mouth. “Ew,” Valene said with feeling. Dakotah slammed his hand a few times on the desk until they broke apart. “Rooms are upstairs. Choose one.” He watched them sway through the shop. “You break it, you buy it!” he shouted, and the couple giggled. “Get me something useful,” he grumbled, sitting down to look over expense reports. She settled into a chair at the back of the shop. Maybe the chair was for sale, but it was set up like a little reading nook, complete with standing lamp (also an antique) and a view into the snowy side yard. The first snowfall had been late this year, happening just before Thanksgiving. Through the window she could see the house across the fence. It was another huge Victorian house, way prettier than the standard house she lived in. Pete and Phin’s house was nicer than hers too, but that was because they were rich. The safest place in the world is the Guardian’s House. The most dangerous place in the world is the ground just before the Guardian’s door. She thought of evil angel Pratum pacing the space in front of the gate. Oceanus, the fallen angel, had left a few days ago. He checked in with Dakotah every so often, but had not been attacked again by Pratum. A Guardian’s life is short. Val pulled a face. This was what she had to translate for Dakotah? She didn’t like him much, but she didn’t want him to get ripped apart by…well, anything, really. Next page: There is a careful balance. Next page: Slide into the dark, and you will not be the same upon return. She snapped the cover shut. It was already growing dark outside. She stared at the twilight for five minutes, then returned to the front. She tossed the grimoire onto the counter. “Well?” asked Dakotah when she didn’t say anything. But she was already out the door, to the gate–hesitating for a breath before stepping across the threshold–and out onto the street.